Happy Independence Day! 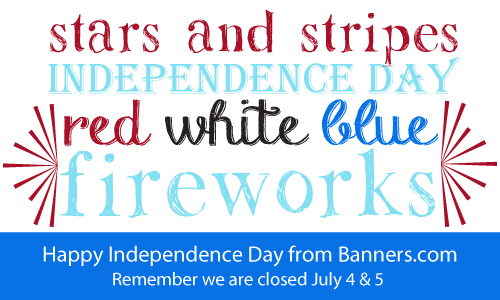 Our offices will be closed on July 4th and 5th to celebrate. We hope everyone has a safe 4th of July weekend. Design Online with Templates: we have templates available for you to customize in our online designer. You can also start from scratch and add a background, clip art, upload images and add text. Click here to get started on your full color vinyl banner.